Kids Struggle With Thoughts Of Suicide : Shots - Health News The number of children and teens who visited the hospital for suicidal thoughts or attempts doubled from 2008 to 2015. Rates were highest during the school year. 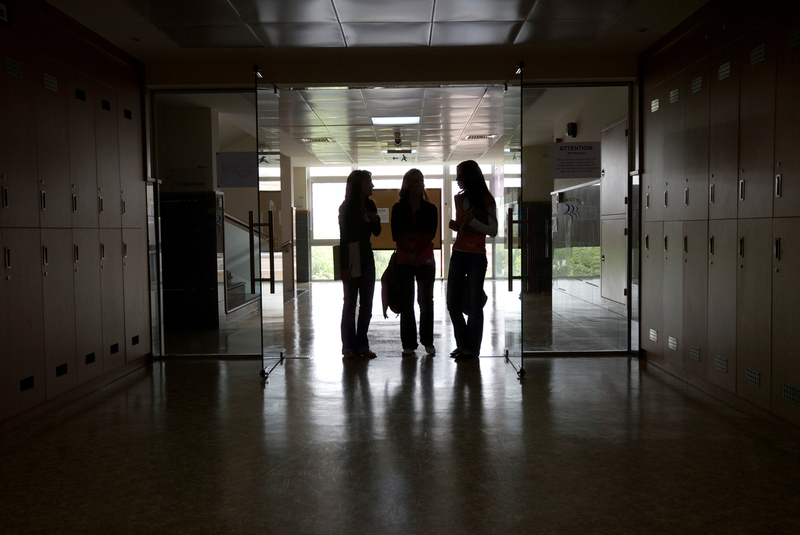 Teens are visiting the hospital for suicidal thoughts or actions more frequently. He says he hopes clinicians and families take note. "The No. 1 thing to take home is that it's important to talk about this and important to ask about it," he says. The findings line up with past data showing a steady increase in teen suicide over the past decade. The Centers for Disease Control and Prevention reported last year that a drop in adolescent suicide in the 1990s and early 2000s reversed course in 2008, though it has not yet reached peak levels seen in the 1980s. It's not clear what has contributed to the increase, but the study noted the 2008 financial crisis may be one factor. Plemmons and his co-researchers examined billing data from 2008 to 2015 from a database of 49 children's hospitals across the U.S. They included all emergency department encounters, stays for observation and inpatient hospitalizations at those hospitals. However, community hospitals were not included. The researchers turned up 115,856 visits for suicidal ideation or attempts, during the seven-year period. Such visits represented 0.7 percent of total children's hospital visits in 2008, but by 2015 had increased to 1.8 percent of all visits. More than half the visits required at least one night of hospitalization, and nearly 1 in 7 required intensive care. Older teens were more likely to end up in the hospital and had the greater increase in hospital visits. About half of suicide-related hospital visits for the time studied were from teens ages 15 to 17, but 12- to 14-year-olds closely trailed them, making up 37 percent of visits. Children ages 5 to 11 made up the remaining 13 percent. One of the study's most striking findings was a seasonal trend in hospital visits. Throughout the years, visits peaked in midfall and midspring and fell to the lowest point in the summer. "We knew there was an association with school seasons, but actually seeing that mapped out was surprising," says Plemmons. It suggests a link with school pressures. "It really speaks to the stress and the strain at school," says Dr. Robert Dicker, associate director of Child & Adolescent Psychiatry at Zucker Hillside Hospital in Glen Oaks, N.Y. "Kids appear to be under much more academic success to achieve and their perception of falling short." Dicker, who was not involved in the study, noted possible influences from the media, particularly social media. Plemmons also drew attention to social media's influence. "You're becoming more disconnected and not having relationships with real people, and at the same time, you're being fed a false distortion of what reality is, where everything looks great onscreen," he says. Cyberbullying and sexting, he adds, could also be risk factors. "These kids have to deal with pressures that we didn't deal with." "This type of study is very good at revealing trends but cannot address causality," says Dr. Laurel Williams, chief of psychiatry at Texas Children's Hospital in Houston. Despite being the third-leading cause of death in adolescents, suicide is still relatively rare, making it harder to study causes, she says. But it is important to screen for depression and anxiety, she says. Her institution also uses validated screening tools to screen adolescents and is exploring teleconsultation strategies to help pediatricians manage cases if they feel underprepared or uncomfortable.